Falcao (Monaco) receives a yellow card for infringement. Here is a change. Gelson Martins is going off and Leonardo Jardim gives the last tactical orders to Carlos Vinicius Alves Morals (Monaco). The foul by Marcelo (Lyon) was seen by Benoit Millot who didn't hesitate to blow the whistle. Memphis Depay (Lyon) will take a corner kick. Bertrand Traore (Lyon) announces himself with a wonderful first-time strike from around 20 metres out. He fires the ball towards the left post, but Danijel Subasic has a clear sight of the shot and makes a decent save. Lyon have been awarded a corner kick. Falcao (Monaco) is free in the box and Rony Lopes finds him with a pass, but his powerful shot skims just past the right post. Good chance! The total shots for both teams statistics – 10:8. Bruno Genesio prepares a substitution. Houssem Aouar is replaced by Maxwel Cornet (Lyon). The referee signals that it is time for a substitution and Jean-Eudes Aholou (Monaco) is coming onto the pitch as Aleksandr Golovin cannot continue after picking up an injury. Leo Dubois (Lyon) takes the corner but fails to find any of his teammates. The ball is easily cleared out of danger. Memphis Depay (Lyon) takes the corner but only sends it into a huddle of the defenders and one of them makes a good clearance. The referee points to the corner flag and Lyon will take a corner. Ferland Mendy (Lyon) sends a cross into the box, but the opposition's defence quickly intercepts the ball. Lyon earn a corner. Rony Lopes (Monaco) swings in a dangerous cross from the resulting corner kick, but none of his teammates manage to outjump the defence. Fode Ballo Toure (Monaco) wastes a good opportunity as his pass into the box is blocked by the defence. Now Monaco have a corner. Bertrand Traore (Lyon) launches a cross from the corner, but Danijel Subasic is alert to thwart the effort. Memphis Depay (Lyon) misses the penalty and holds his head in his hands after the goalkeeper makes a brilliant save by diving to the right side of the goal! The referee and his assistant both point at the corner flag. Lyon will have an opportunity to threaten the opposition's goal. Memphis Depay (Lyon) is going to take the penalty! Kamil Glik (Monaco) picks up a yellow card for a foul. An opponent rises to his feet after being downed by Kamil Glik (Monaco). Benoit Millot saw the sliding tackle and blows for a foul. Lyon are awarded a penalty kick! The linesman raises his flag. Houssem Aouar (Lyon) is adjudged offside. Moussa Dembele (Lyon) makes an overly-aggressive challenge and Benoit Millot blows his whistle for a foul. Memphis Depay sends over a penetrating corner which finds the head of Jason Denayer (Lyon), but his effort from close range is disappointing and goes high over the bar. Memphis Depay (Lyon) goes over to take a corner kick after one of the defenders makes a good clearance. 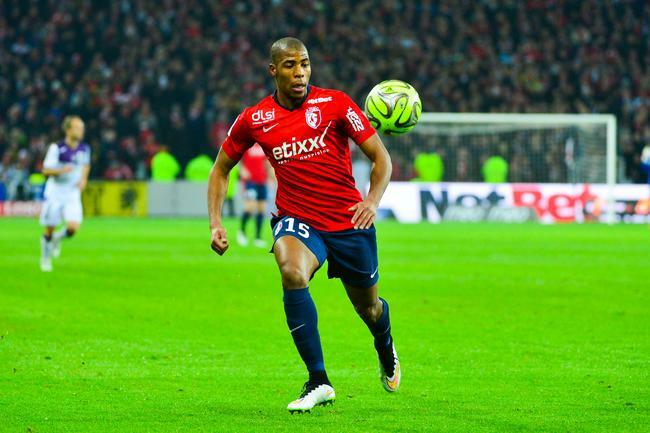 Djibril Sidibe (Monaco) volleys the ball on the edge of the box after a rebound. It's a great effort and has Anthony Lopes scrambling, but it flies just over the bar. Poor challenge! Tanguy Ndombele (Lyon) is penalised for tripping and Benoit Millot blows his whistle. Memphis Depay (Lyon) takes the resulting corner which is well defended. Memphis Depay (Lyon) dinks a cross into the box from the free kick. However, the opposition defence thwarts the attack, preventing anyone from finishing. Corner kick. Lyon will have an opportunity. Benoit Millot shows the yellow card to Djibril Sidibe (Monaco) for a heavy challenge. Cesc Fabregas (Monaco) launches an inaccurate corner kick into the penalty area. Rony Lopes (Monaco) races towards goal but the defender gets back well to make a challenge. Monaco force their opponents to concede a corner. A fine lofted pass into the box, sent by Bertrand Traore (Lyon), is intercepted by the opposition's defence. Great ball in from Ferland Mendy. Tanguy Ndombele (Lyon) should really have done better with a close-range header, but he heads it a whisker over the crossbar. Falcao (Monaco) fails to beat the offside trap and the linesman puts his flag up. The Lyon players are exchanging some short passes to try and open up the opposition’s defence and hit them swiftly on the break. Memphis Depay (Lyon) comes onto the pitch after Martin Terrier signals to the bench that he cannot continue any longer after picking up an injury. Anthony Lopes pulls off a great save to deny Aleksandr Golovin (Monaco), who makes himself some space inside the box and unleashes a quick low drive to the bottom left corner. Martin Terrier (Lyon) is able to continue to play. Martin Terrier (Lyon) is asking for medical treatment, but he will have to leave the pitch in order to receive help from the physio. Aleksandr Golovin (Monaco) breaks past challenges inside the box, but puts too much pace on his pass to Gelson Martins. The ball goes out of play and Lyon will have a goal kick. Rony Lopes (Monaco) lifts the ball into the box from the corner, but one of the defending players gets there first to head it clear. Gelson Martins (Monaco) attempts to set up his teammate with a scoring opportunity by chipping in a fine pass from the edge of the box, but one of the defenders intercepts his effort. Good work from Monaco as they win a corner. Martin Terrier (Lyon) is booked after bringing down an opponent. Benoit Millot had an easy-decision to make. Rony Lopes (Monaco) makes a great solo run and pulls the trigger from inside the box, beating Anthony Lopes with a strike into the bottom right corner. He makes it 2:0. Leo Dubois (Lyon) serves up a nice cross, but the defence clears the danger. Ferland Mendy (Lyon) sends a pass into the box, but his attempt is thwarted and cleared. Goal! Gelson Martins (Monaco) is teed up on the edge of the box by Fode Ballo Toure, and his howitzer of a shot inside the right post gives the keeper no chance. 1:0. Jason Denayer (Lyon) was too forceful with his tackle and Benoit Millot interrupted the game to signal a free kick. The linesman signals that Falcao (Monaco) is offside and the referee confirms the decision. Fernando Marcal is being substituted because of an injury. Bruno Genesio sends Ferland Mendy (Lyon) on the pitch. Fernando Marcal (Lyon) is being forced to leave the pitch in order to receive medical treatment and his team will play with a man short for a few minutes. Falcao (Monaco) latches onto a long ball into the box and unleashes a fine volley at goal, but flashes the effort just wide of the right post. That would have been a great goal! Adrien Silva (Monaco) threads a pass through the eye of a needle into the box for Gelson Martins, but Anthony Lopes displays great awareness to stop him. Rony Lopes (Monaco) sets the ball for the free kick from 25 metres out. His attempt is aimed towards the right side of the goal, but Anthony Lopes is alert and makes a comfortable save. Benoit Millot blows his whistle. Lucas Tousart (Lyon) commits a foul after dangerous play. Monaco earn a free kick. Rony Lopes (Monaco) is unable to feed a through ball into the path of his teammates. The players are out at last! Lyon will take the kick-off. Benoit Millot will officiate today.